Canadian Outback Rafting Company. White Water Rafting Adventures near Vancouver, Whistler & Squamish, BC, Canada. 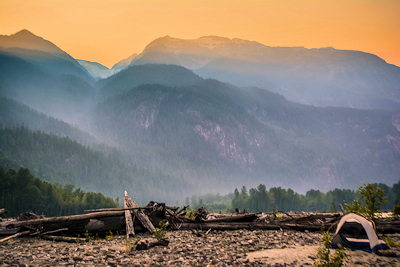 fueled by nature and an incredible destination for world-class Squamish rafting trips with Canadian Outback Rafting. 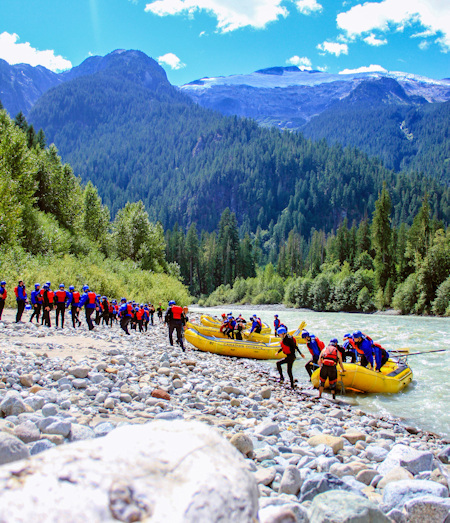 It doesn't get much better than this when it comes to white water rafting in British Columbia. And with our Certificate of Excellence and 5-star Traveler Rating from TripAdvisor, you know you'll have great time! 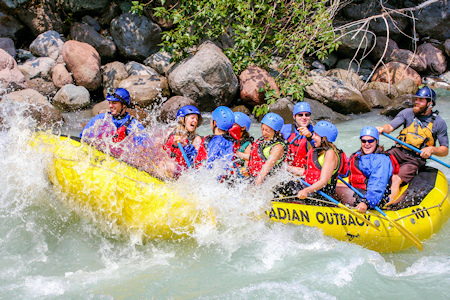 Canadian Outback Rafting prides itself on offering a variety of rafting adventures for all ages and skill levels. 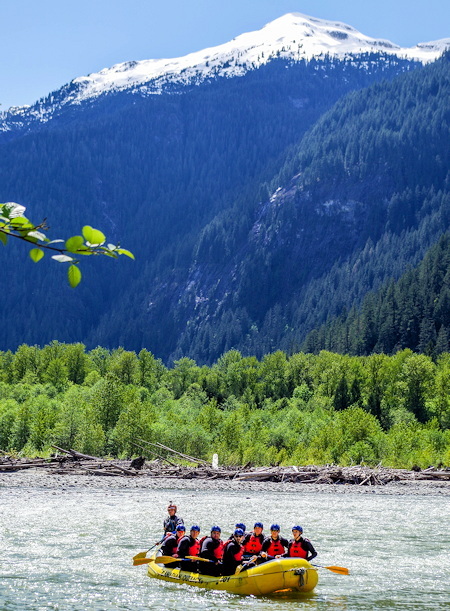 Whether you're 5 or 85, we have a rafting adventure that will allow you to experience the beauty and serenity of Super Natural British Columbia. 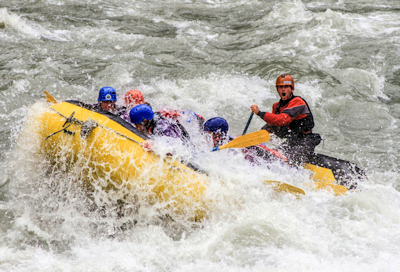 Our most popular rafting trip, the Wet & Wild Elaho Exhilarator combines everything you'd want in a rafting trip; heart pounding Class 3-4 rapids, phenomenal guides, and some of the best scenery in the world. 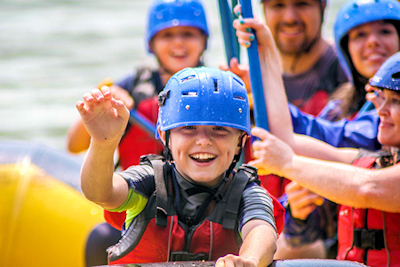 Our Family-Friendly Cheakamus Splash rafting trip helps families and friends reconnect with the great outdoors with fun splashy rapids and some of British Columbia's most breathtaking scenery, everyone in your family will have a great time and make memories you'll cherish together forever. 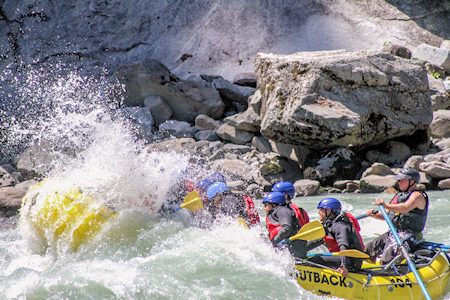 Jam packed into 24 hours, our Rafting Wilderness Expedition lets you experience exhilarating whitewater rapids mixed in with extraordinary views of the Coast Mountain Range with its many glaciers, spectacular waterfalls, and abundant wildlife. Enjoy a riverside 3 course meal while listening to our musical entertainers, and after a night's sleep under the stars, wake up to the smell of fresh coffee and hearty breakfast. 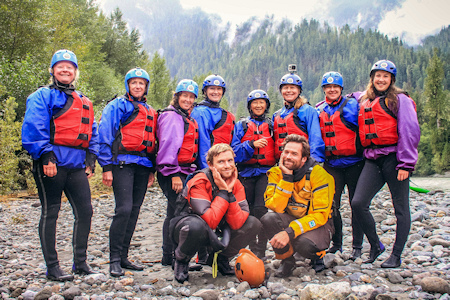 World-class white water river rafting adventures near Vancouver, Squamish or Whistler, BC. Click the links above and you'll notice that on our website we've gone to great lengths to describe and show you what you'll experience on each of our Vancouver and Whistler rafting trips. Please take the time to read the descriptions, look at the pictures, and learn more about our world-class guides, state-of-the-art equipment, and "frequently asked questions". Being well educated is very important when deciding which rafting trip is right for you, your family and friends! 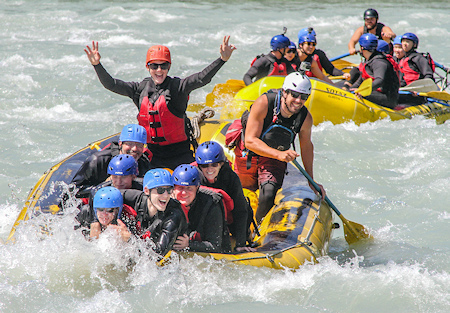 If you're looking for a "that was the highlight of my vacation" type of adventure, look no further than to one of our fantastic white water rafting trips near Vancouver and Whistler. Connecting rivers, mountains and adventurers since 1992.